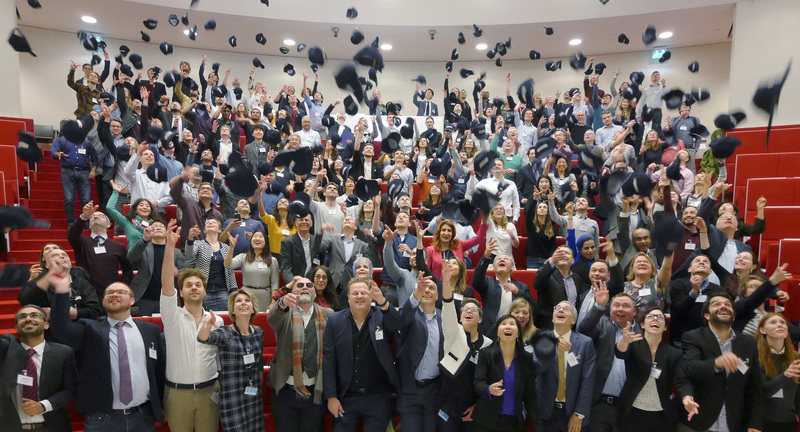 On 29 March 2019, the OHDSI Europe community gathered for its second annual symposium at the Erasmus Medical Center in Rotterdam (The Netherlands). With 260 participants from over twenty-seven countries, covering five continents, the symposium can be considered a tremendous attraction. 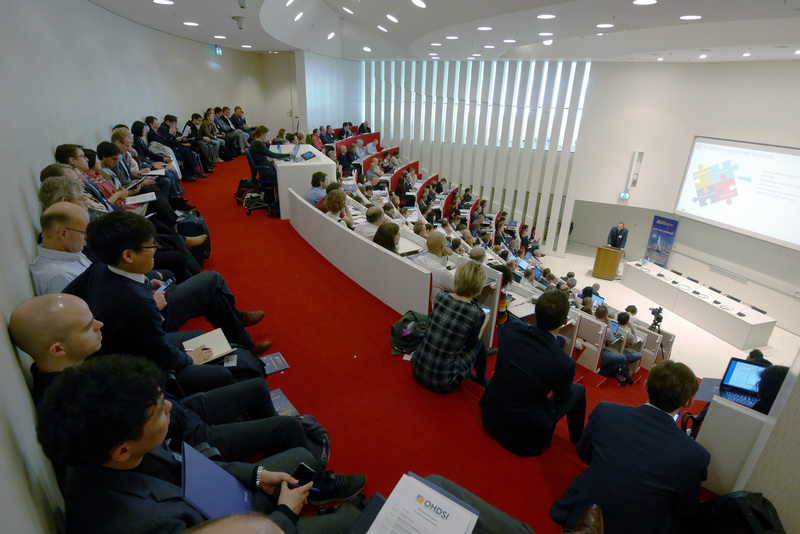 Interestingly, the symposium had nearly 120 people who were new to the Observational Health Data Sciences and Informatics (OHDSI) community, clearly showing the growing interest. This year, the agenda focussed on "The journey from data to evidence.” All presentations and recordings will be made available via www.ohdsi-europe.org. 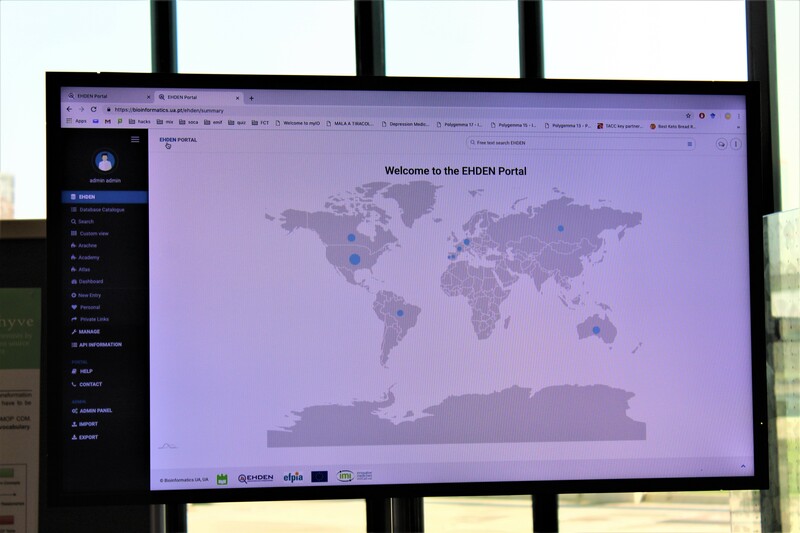 Following a warm welcome by prof. Peter Rijnbeek (Erasmus Medical Center, The Netherlands; Academic coordinator of EHDEN), the audience was introduced to OHDSI by prof. George Hripcsak (Columbia University Medical Center, USA). OHDSI is an open science initiative which focusses on the development and adoption of the Observational medical outcomes partnership (OMOP) common data model (CDM), but also on the development of analytical tools and the generation of real world evidence. Prof. Hripcsak gave an impressive update on last year’s developments in OHDSI including an overview of large-scale analyses. Peter Rijnbeek introduced the audience to the European Health Data & Evidence Network (EHDEN), stating that: “EHDEN is not a success if we only map 100 million health records to the OMOP CDM, it's only a success if we actually use the data network to generate the evidence to improve patient care..” During his presentation, he also announced that the first EHDEN open call for small- and medium-sized enterprise certification opened on 1 April (for more information about this call, go to www.ehden.eu). “What evidence do we want to generate?” This single question was the overarching topic of the presentations of prof. Patrick Ryan (Columbia University, USA), Niklas Norén (Uppsala Monitoring Center, Sweden) and prof. Daniel Prieto-Alhambra (University of Oxford, UK; lead of the ‘evidence workflow development’ work package in EHDEN). Examples were shown on previous European drug utilisation studies, and of patient-level prediction models. The key message being that all these studies focus on generating reliable and reproducible evidence. Adverse events, for example, are often very rare incidents, and the adherence rate for a drug will be much lower in the real world as compared to the tightly-controlled environment of a clinical trial. Both are situations where real world evidence can offer a reliable and reproducible answer. After the break, Anthony Sena, Jenna Reps and Martijn Schuemie (all three from Janssen R&D, USA) talked about how OHDSI is standardising the analytical tools for evidence generation. All three talks focussed on a specific application (cohort definition, patient-level prediction and population-level effect estimation respectively) using ATLAS, an open source platform aiming to unify all OHDSI tools. Standardised analytics will eventually enable consistency, transparency, reproducibility and efficiency in generating real world evidence. The last session before lunch was all about how a widespread adoption of the OMOP CDM will enable standardised analytics, led by Christian Reich (IQVIA, USA), Erica Voss (Janssen R&D, USA) and Mui van Zandt (IQVIA, USA). Following a general introduction and discussing the need for a CDM-like OMOP, the audience was shown how White Rabbit, Rabbit in a hat, Usagi and Achilles can help with data harmonisation and checking mapping quality. Again, the standardisation of this whole process, the OMOP CDM and the vocabulary are key to the generation of reliable evidence. ‘The European Health Data & Evidence Network’ by the EHDEN consortium. ‘The EHDEN academy: Enabling large-scale community training’ by Peter Rijnbeek and Luis John (Erasmus Medical Center, The Netherlands). ‘The European Health Data & Evidence Network portal’ by João Almeida et al. ‘Building a library for validated OMOP CDM queries’ by Peter Rijnbeek et al. ‘Development and validation of patient-level prediction models for adverse outcomes following total knee arthroplasty’ by Ross Williams et al. There were also several lightning talks of selected abstract submissions. These talks discussed the experiences, challenges and successes of people when they first started working with the OHDSI tools and adopting the OMOP CDM for their data. For anyone interested in doing the same, the best advice would be to join the OHDSI events and forum, and to take part in the discussions. But first and foremost, ask advice from OHDSI members as many were in the same situation before, and as an open science community, they do their best to help each other in advancing the field. During the final session of the day, Patrick Ryan and Rebecca Chandler (Uppsala Monitoring Centre (UMC), Sweden) talked about their own experience in going from data to evidence, and how they recently put OHDSI into action during a workshop at UMC. The key message being that no single person has all the required skills and data to get from data to evidence. However, as a team you do. By working together, reliable evidence can be generated much faster and be more reproducible. At the end of the symposium, all participants received an OHDSI coffee mug and cap. 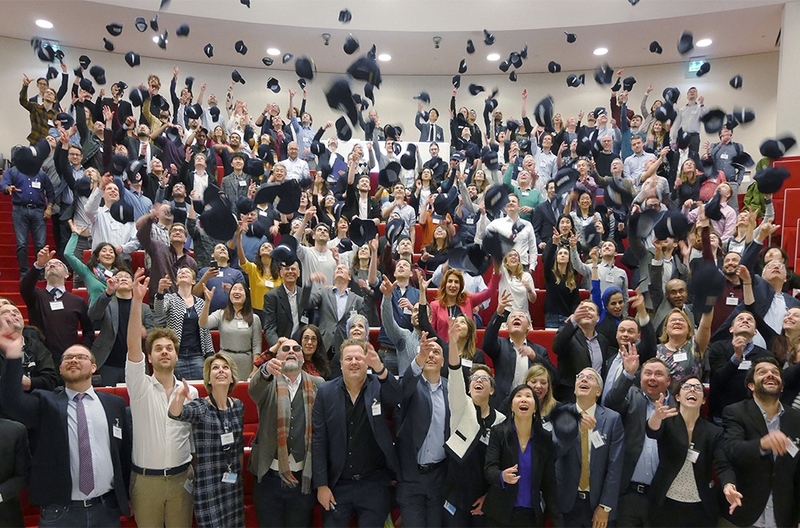 As all participants were now formally introduced to OHDSI, OMOP and EHDEN, a graduation picture was taken. 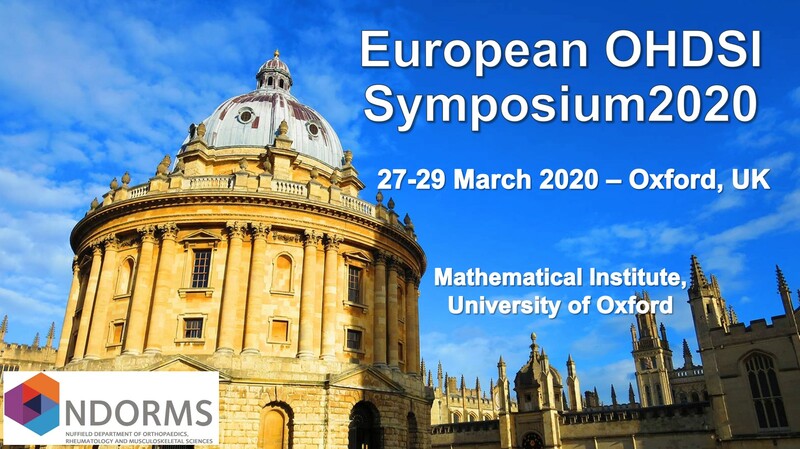 Last but not least, it was announced that next year’s Europe OHDSI symposium will be hosted by prof. Daniel Prieto-Alhambra at the University of Oxford (UK) from the 27- 29 March 2020.